How do I elect to use the tax court method for a rental property? In the following example, the 1098 was entered with Mortgage Interest received of $5,500 and Real estate taxes paid of $2,500. 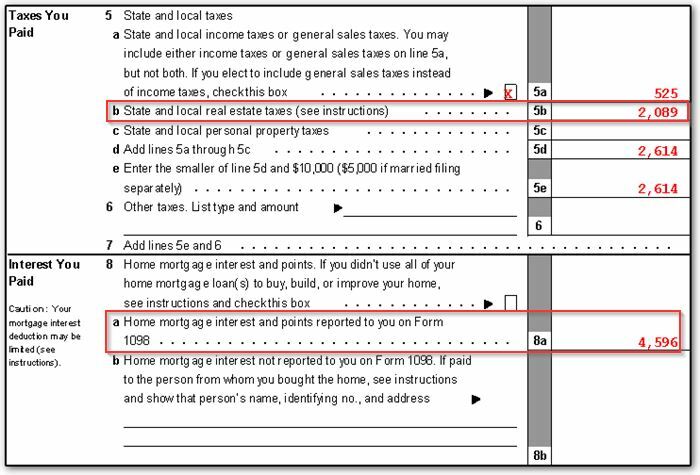 On the Wks Sch E Personal worksheet, lines 2a (rental portion of deductible mortgage interest) and/or 2b (rental portion of real estate taxes) will be calculated using the tax court method instead of the IRS method. The tax court percentage is displayed beside each line with the result to carry to the Schedule E, lines 12 and 16, respectively. Note: The remaining amount of deductible mortgage interest will not be carried anywhere on the return if only the tax court method is chosen on the E screen. 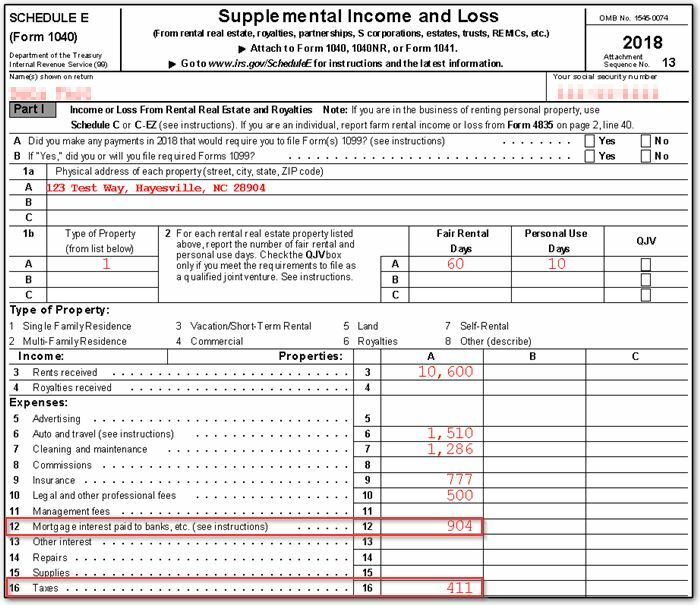 If the rental was also the taxpayer's main or secondary home, however, the non-rental portion of the deductible mortgage interest may also be deductible on the Schedule A, line 8a (line 10 in Drake17 and prior). If this applies, the checkbox This is the taxpayer's main home or second home must also be marked for the software to carry the remaining amounts to the Schedule A. In this scenario on the Wks Sch E Personal worksheet, both lines 2a (rental portion of deductible mortgage interest) and 2b (rental portion of real estate taxes) will be calculated using the tax court method and all remaining deductible amounts carry to the Schedule A. Note: Starting in Drake18, the Tax Cuts and Jobs Act has added additional rules regarding whether home mortgage interest is deductible on the Schedule A. Refer to Related Links below for more information.